In this revelatory book, now available for the first time in paperback, five-time New York Times best-selling author and 2018 Templeton Award nominee Gregg Braden explains that we no longer need to ask these questions as "What if?" Recent discoveries ranging from human evolution and genetics to the new science of neuro-cardiology (the bridge between the brain and the heart) have overturned 150 years of thinking when it comes to the way we think of ourselves, our origin, and our capabilities. In this reader-friendly journey of discovery, Braden begins with the fact that we exist as we do, even more empowered, and more connected with ourselves and the world than scientists have believed in the past. It's this undisputable fact that leads to even deeper mysteries. 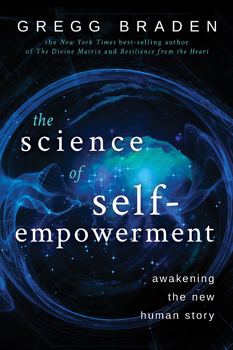 "How do we awaken the extraordinary abilities that come from such an awesome connection?" "What role does our ancient and mysterious heritage play in our lives today?" Join Gregg as he crosses the traditional boundaries of science and spirituality to answer precisely these questions. In doing so he reveals a) specific tools, techniques, and practices to awaken our deep intuition on-demand, for self-healing and longevity; and 2) concrete solutions to the social issues that are destroying our families and dividing us as people, including the bullying of young people, hate crimes, the growing epidemic of suicide, religious extremism, and more. When new discoveries prove that the existing human story is no longer based in fact, it's time to change the story. This simple truth is at the heart of the book you're about to read.